This new tech tip sums up all possible uses for the RIG, specifying the performance tolerances for each tytpe of use (weight limit, compatible rope diameters, standards…). For each use, a table provides comparison information between the new and the old RIG. 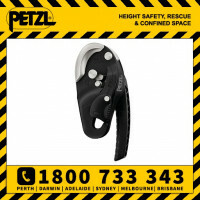 The 2018 version of the RIG's AUTO-LOCK system automatically locks off the load and returns the handle to its initial position. View the certification and other tests results for the new RIG as well as the latest information on the old RIG. This tech tip explains the necessary precautions to take for an assisted rappel during a rescue. It details each step for a simple rescue maneuver. 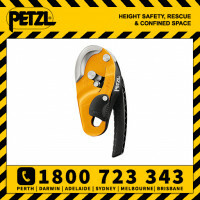 As with all Petzl devices, a tech tip explains how to select the right carabiner to use with your RIG. View all tech tips for the RIG.